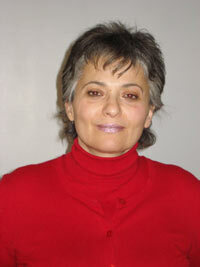 Lama Abu-Odeh is an accomplished scholar and professor at Georgetown University Law Center as well as at the university's Center for Contemporary Arab Studies. Before joining the Georgetown faculty in 1999, she taught at Stanford Law School. Abu-Odeh has written extensively on Islamic Law, including "The Politics of (Mis)Recognition: Islamic Law Pedagogy in American Academia," published in the American Journal of Comparative Law, the chapter "Egyptian Feminism: Trapped in the Identity Debate," published in the book Islamic Law and Challenges of Modernity, and "Modernizing Muslim Family Law: The Case of Egypt," published in the Vanderbilt Journal of Transnational Law. "My approach is to complexify the situation of women in Islam so that the stereotypes about them do not hold," she says. "When I graduated from high school I wanted to study English literature," she says, "but my Dad said, 'you are good at debating; why don't you become a lawyer?'" Born in Amman in 1962, Abu-Odeh earned her LL.B. from the University of Jordan, her LL.M. from the University of Bristol, England, her MA from the University of York, England, and her S.J.D. from Harvard. On the topic of Palestine, Abu-Odeh's article "The Case for Binationalism: Why One State - Liberal and Constitutionalist - May Be the Key to Peace in the Middle East" was published in the December 2001-January 2002 Boston Review. She says she tries "as much as I can to intervene in academic contexts to raise awareness and to represent the Palestinian perspective." Currently, Abu-Odeh is working on an analysis of the domestic legal infrastructure of the Israeli occupation, due out in 2008. "Instead of discussing international law, I talk about water, zoning, tax, property and housing laws to describe the way in which Israelis consolidate their grip on the land and privilege the Jewish settlers over the Palestinian population," she explains. As a child, Lama Abu-Odeh made yearly trips to her father's hometown of Nablus, and last visited Palestine in 1999. "It was a very sad experience," she says. Instead of watching Nablus expand and grow, it seems to have become a dilapidated old town, symptomatic of the whole of Palestine," she says. Aside from teaching, Abu-Odeh has worked as a lawyer for the World Bank's Middle East/North Africa Division and as an elections observer for the United Nations during South Africa's first democratic elections. She has also served on the board of directors of the Jerusalem Fund.